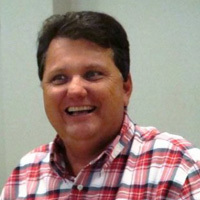 Tony Williams is the author of several books including; The Hurricane of Independence, The Jamestown Experiment, America’s Beginnings and most recently, a book co-authored with Stephen Knott; Washington and Hamilton: The Alliance that Forged America. 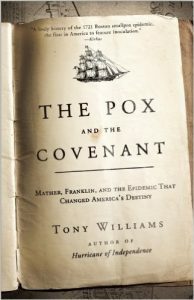 John Ericson, Museum Interpreter at Historic St. Luke’s Church, recently interviewed Tony Williams about his upcoming lecture at Historic St. Luke’s on one of his books, The Pox and the Covenant (click here to purchase tickets). John Ericson: Tony, this will be the third time you have given a lecture at Historic St. Luke’s. This time it is in relation to your book The Pox and the Covenant, which is a pretty incredible story of a major advance in medicine. It was pretty controversial wasn’t it? Tony Williams: First of all, I am greatly honored by all the invitations to speak and love the work of Historic St. Luke’s. The innovation of smallpox inoculation for the first time in colonial America was an incredible advance in medicine that saved many lives. It is also one of the most dramatic events in early America because the Puritan ministers were the guiding force behind inoculation, and were opposed by the doctors and even a young Benjamin Franklin and his brother who actually started an anti-inoculation newspaper to join the controversy. John: Religion and Science are often pitted against each other, but, in the 18th century, pastors were really the educators. Does that mean the science of the time was less at odds with the religious community? 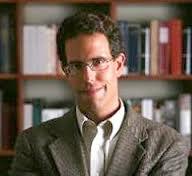 Tony: The idea of a war between science and religion is a nineteenth-century invention, and contradicts more than a millennium of history of western civilization. Christian scientists were at the forefront of reason and science in the Middle Ages and Scientific Revolution including Sir Roger Bacon, Thomas Aquinas, Copernicus, Galileo, and Kepler, to name a few. Eighteenth-century pastors and scientists all believed in natural law and that science and religion, reason and revelation were all part of God’s unified truth and did not contradict each other. Revelation told us God’s moral truths, and science revealed the truth of the universe God created. J: Is that why you decided to write this book? T: I decided to tell this story in the book not only because of its inherent drama but because of the importance of correcting a very common misconception of the relationship of science and religion. The idea of a warfare between science and religion is perhaps the most enduring intellectual myths in the popular mind. Unfortunately, our media has advanced the idea by always framing debates between vocal anti-science evangelicals and radically secular scientists. Some scholars have tried to correct their view, and I thought this episode was a perfect story to contribute to their efforts. J: Cotton Mather has been largely lost to most modern people. How well known was he in his day? T: Mather has been lost to us, or, more tragically, has become a one-dimensional caricature and witch-hunter because most students study Arthur Miller’s The Crucible, though they don’t know the history. He was a leading religious and civic figure in colonial Boston and was well-known through New England. He also carried on an extensive correspondence with scientists and others in the colonies, England, and Europe. He was as widely-known in the Atlantic as almost anyone in the colonies. J: Do you think Mather is best remembered by those who study history for his scientific/medical contributions? T: Mather is still known primarily as a witch-hunter and for his religious beliefs. But, he was arguably one of the greatest scientists of colonial America. He was a member of the British Royal Society, the foremost scientific institution of the Enlightenment, and contributed to its journal. He studied medicine at Harvard, had a collection of some 3,000 books, and even preached about heliocentrism from the pulpit. He and his father started the first scientific society in colonial America. He used the scientific methods throughout the inoculation controversy. His ideas about smallpox were rooted in a precursor to the modern germ theory of disease two centuries before it gained acceptance by the scientific community. He should be remembered at least as much for his science as his faith. J: Some very influential people were lined up against the notion of inoculations. How dangerous was it for these visionary folks to support this advance? 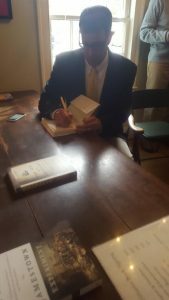 Tony Williams at last year’s Washington and Hamilton book signing. T: The doctors of Boston, the press, and well-heeled individuals fought viciously against inoculation. As I will describe in the lecture, they made religious and racist arguments against it and refused to test it. Mather was assaulted in the streets of Boston and was almost assassinated by a fire-bombing because of his support for inoculation. This shattered the social and religious “covenant” of Puritan Massachusetts. John: Thank you, Tony. We’re excited to have you back at Historic St. Luke’s. Tony: Thanks, John. I’m looking forward to it! Tickets to Tony’s upcoming lecture and book signing are now on sale and can be purchased by calling our Welcome Center and Gift Shop at 757-357-3367, or online by clicking the link here. We look forward to seeing you here!